Whilst we adore medjool dates here at D&H, we know they aren’t super cheap. Amazon and Costco are good if you want to buy in bulk to keep the cost down, but there are different types of dates out there that don’t come with such a hefty price tag. Try halawi (is it me you’re looking for) or deglet noor varieties for a good alternative (if they aren’t as juicy as you’d like, soak them in some water to soften them up). Try to buy dates from the grocery aisle rather than the whole foods section as the dates supermarkets sell in packets often have additives – always read the label! 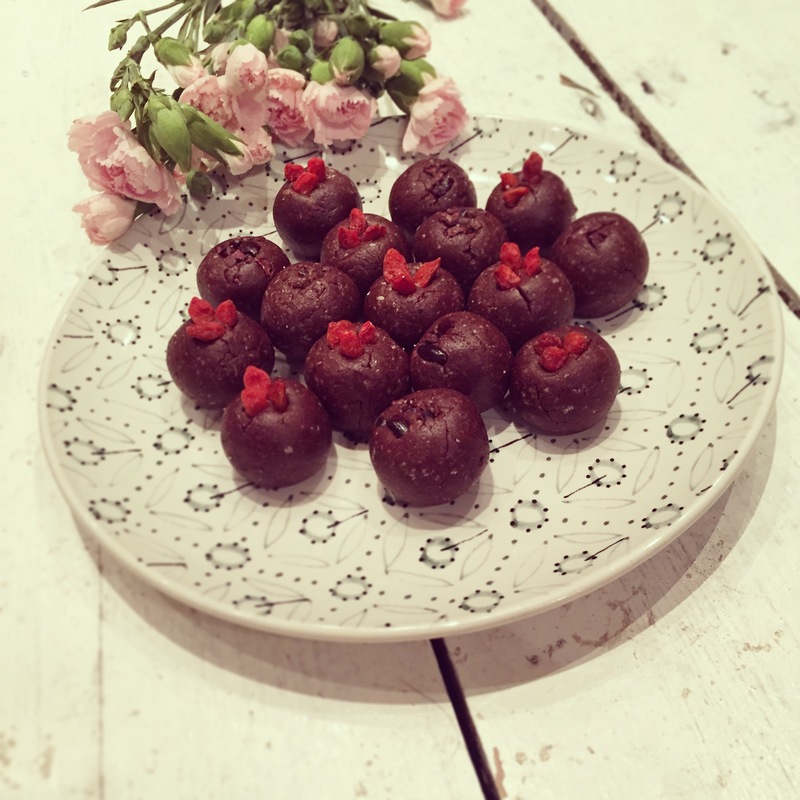 Nutritionally speaking, dates are full of fibre (great for digestion), they are the perfect healthier alternative to sugars and sweeteners, plus they contain B vitamins and minerals such as iron and potassium. And they are virtually fat, sodium and cholesterol free! THIS IS WHY WE LOVE THEM! One of the simplest yummiest ways to enjoy dates is on their own! We also love them stuffed with pecans or nut butter with a sprinkling of cacao. Just slice them open and add your fillings then enjoy! Another easy peasy snack is our delicious energy balls – in a food processor, combine 1 cup dates, 1 cup almonds, 4 tbsp cacoa, 5 tbsp sultanas and whizz until it all sticks together. Add a little water if needed. Shape into little balls and refrigerate. You can add the zest of an orange or some mint into the mix if you fancy! So yummy and perfect to stick in a Tupperware and stash in your handbag! Sometimes it can be a good thing to balls up a date! 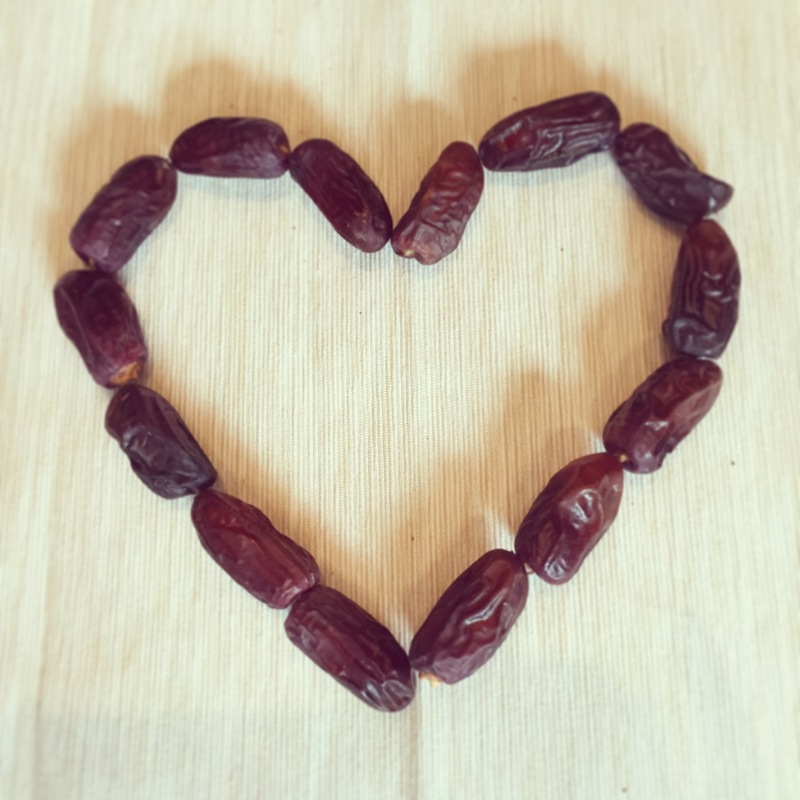 We love dates as part of our morning routine! If you’re a green goddess but your smoothie isn’t quite as sweet as you want it to be, add a couple of dates in to give it a little more sweetness. If you’re a cereal killer chop up a couple of dates and add to porridge with almond milk or homemade granola for a scrumptious breakfast treat! If you’ve quit refined sugar, dates are the perfect sugar replacer in desserts. 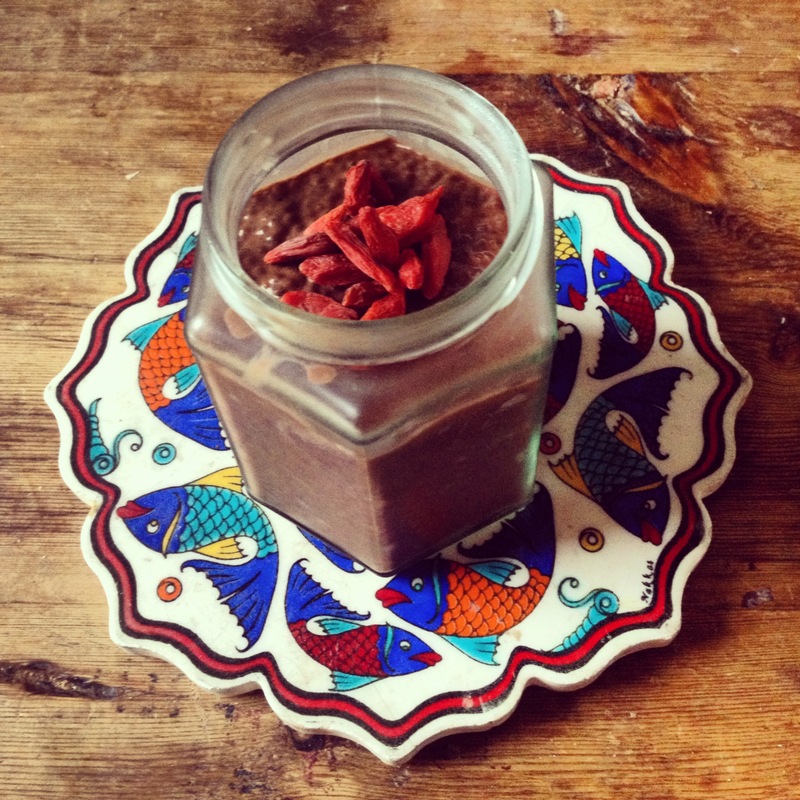 Try this simple yet AMAZING chocolate mousse …combine a banana, an avocado, 3 tbsp coconut oil, 4 tbsp cacao, ¼ cup dates (add more if you like it sweeter) and whizz in a food processor. Refrigerate to let it set and indulge! You mousse try this recipe! We also love this 5 ingredient salted caramel sauce (it’s raw and vegan too)! Soak a cup of dates in two cups of warm water for 20 mins, then blend with 3/4 cup of the water, 2 tbsp coconut oil, 1 tsp vanilla extract and a pinch of sea salt. Keep blending until super smooth! It’s delicious drizzled over banana bread or for dipping fruit into! If you feel like jazzing up your lunchtime salad, chop up a couple of dates and throw them in! Try this for size…2 cups lambs lettuce, half an avocado, a cup of broccoli, ¼ cup quinoa, a small handful of crushed pecans and two dates chopped up small. Drizzle with lemon and olive oil – divine!